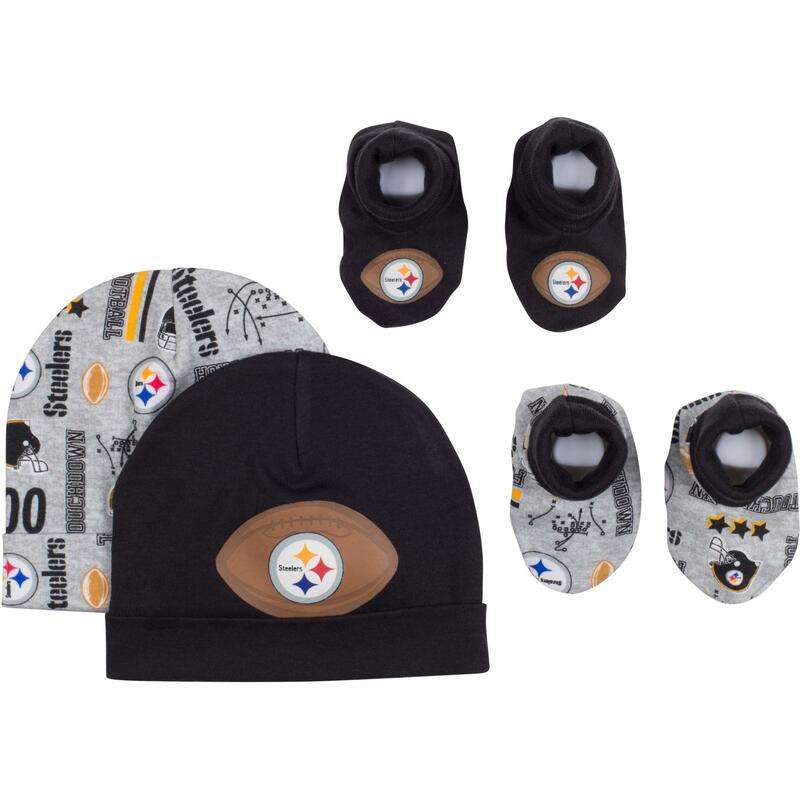 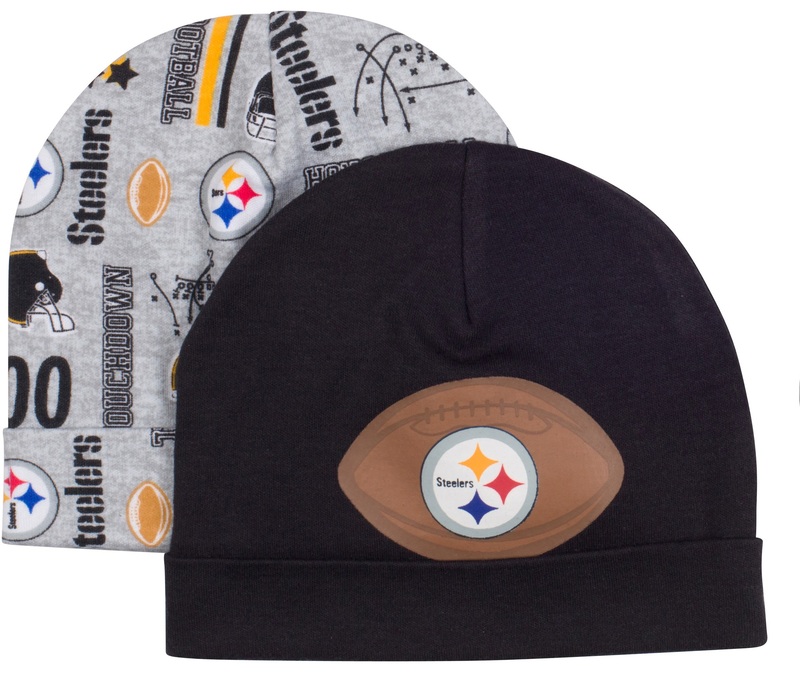 Official NFL Licensed Steeler Baby Cap & Bootie Set. 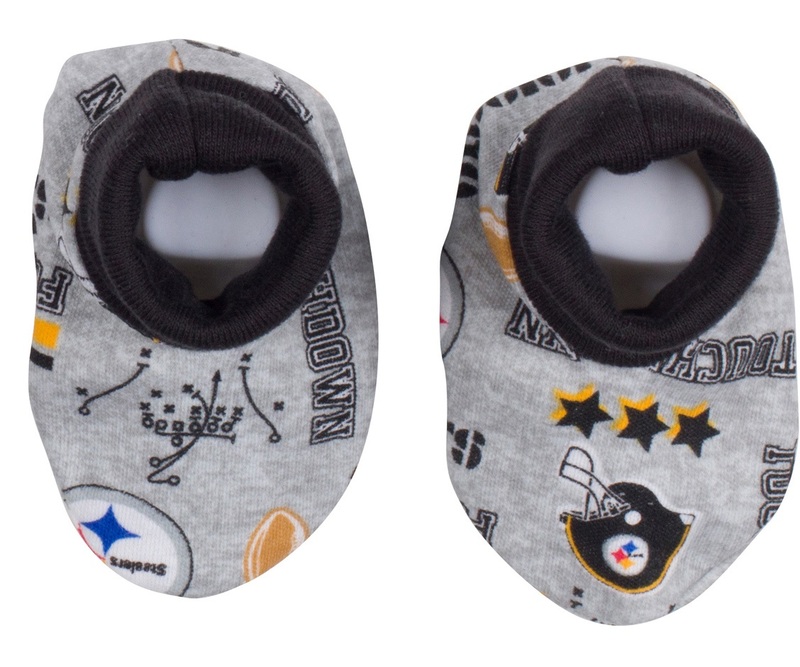 2 Caps: Black Logo & Grey Print & 2 Pair Booties: Black & Grey Print. 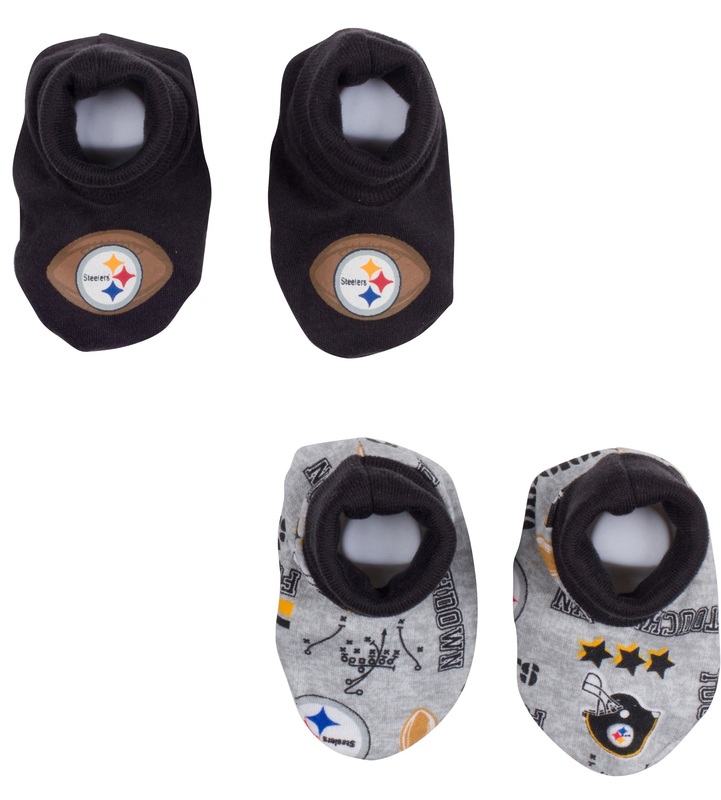 Fits newborn-6 months. 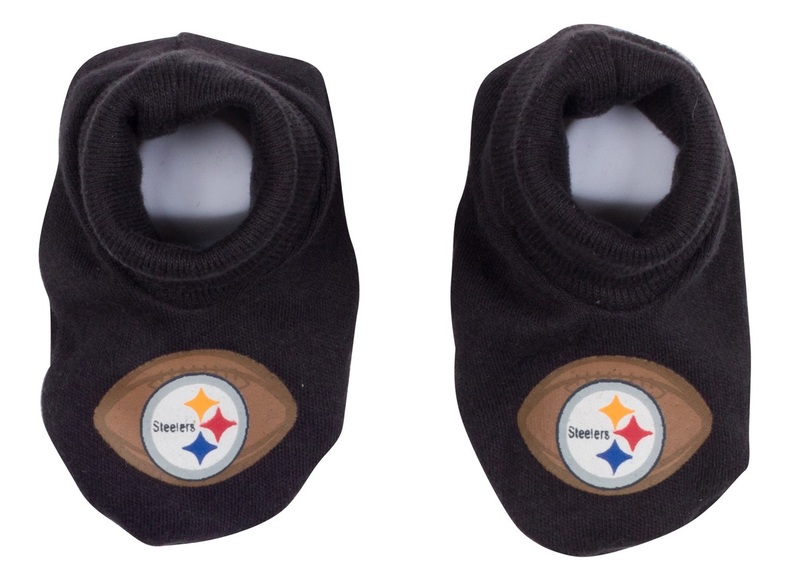 Great gift for new dads & fans.